Mutant Year Zero: Road to Eden finally has a release date. The turn-based strategy game launches later this year on December 4, 2018. Publisher Funcom revealed the news in a gamescom 2018 announcement trailer. Let’s take a look at that new Mutant Year Zero: Road to Eden footage. The trailer itself is quite odd, cycling between what is apparently live-action footage and CG graphics. We see scientists working with animal cells and DNA. Graphic footage is shown of a pig giving birth. 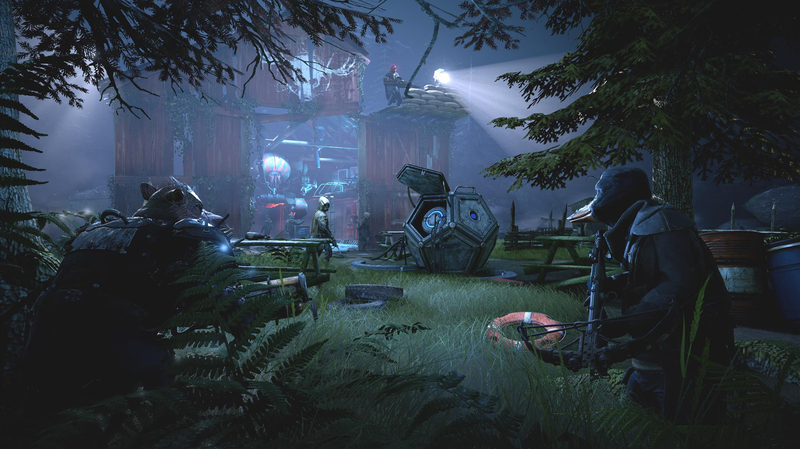 Perhaps that’s the draw of Mutant Year Zero: Road to Eden, though–the strangeness. Considering a talking boar and duck are the lead characters, nothing less should be expected. Earlier this year, following the game’s February 2018 announcement, 35 minutes of gameplay footage was shown off. In it, tactical gameplay and real-time stealth took center stage. Mutant Year Zero: Road to Eden arrives on the PlayStation 4, PC, and Xbox One on December 4, 2018.